Preheat oven in 350 degrees. 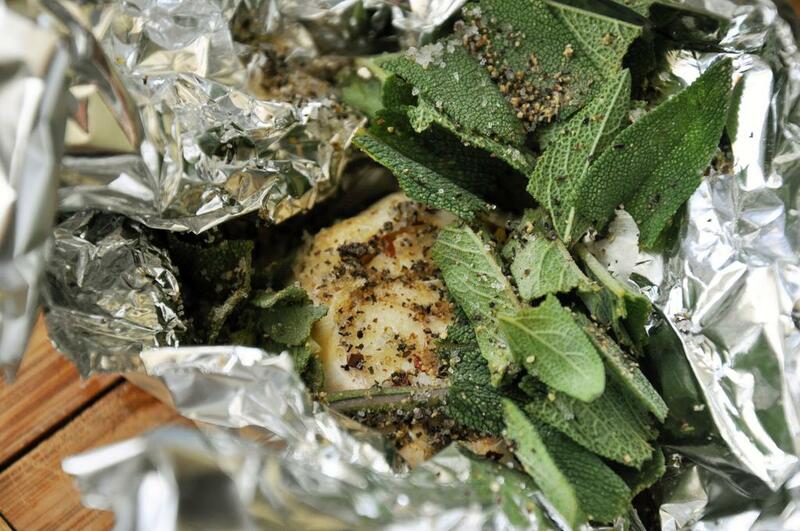 In a small piece of foil, put garlic head, 1 tsp EVOO, 1/4 tsp SnP and sage. Close up tightly. 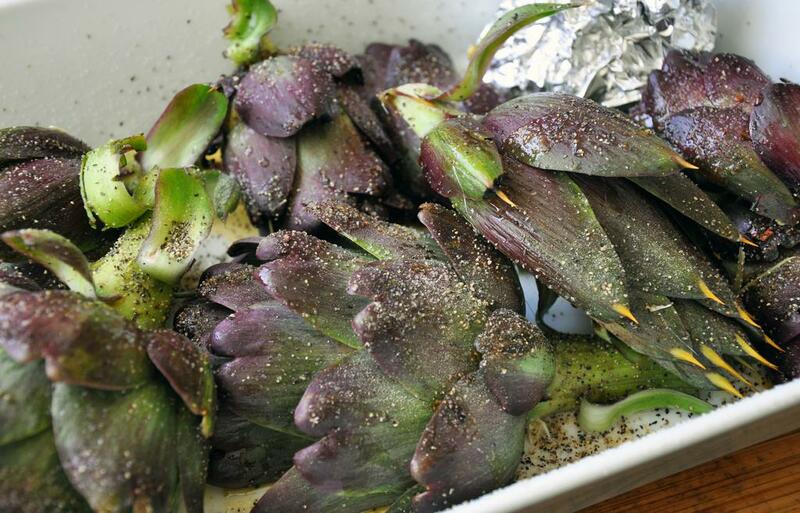 In a large baking dish, place garlic packet and artichokes, cut side down. 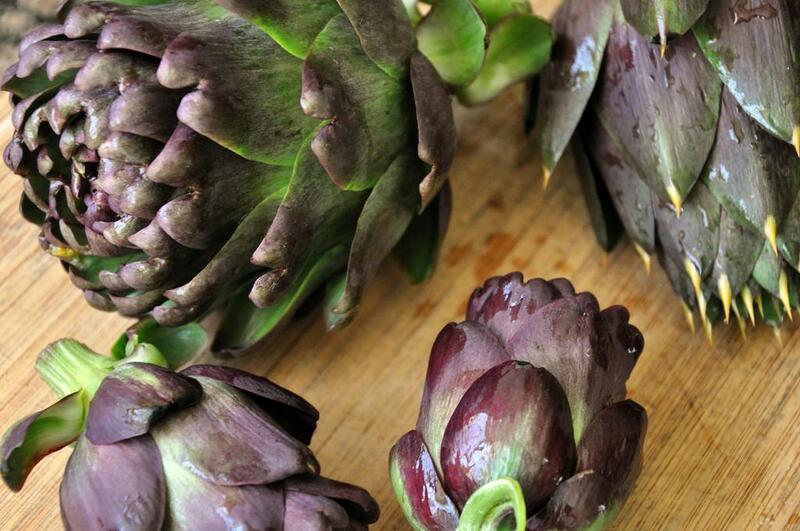 Pour 1 Tbsp EVOO over artichokes and remaining 3/4 tsp SnP. Bake 30 minutes. Turn off oven and leave garlic packet in oven. Let artichokes cool outside oven. Meanwhile, heat pot of water and cook penne until al dente, about 10 minutes. Drain. In a large skillet, heat remaining 1 Tbsp EVOO over medium heat. 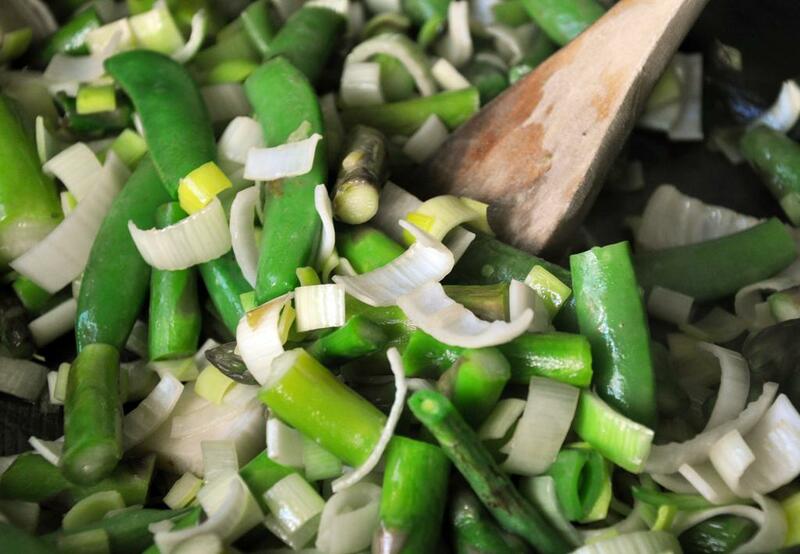 Add leeks, asparagus and peas, and sauté 7-9 minutes, retaining crunch. Let cool. 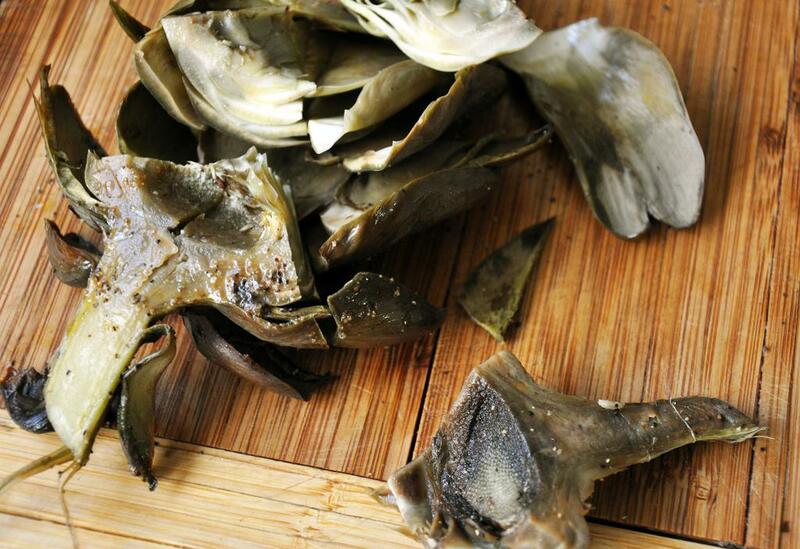 When artichokes and garlic are cool enough to handle, trim hearts from artichokes and include any soft inner leaves. 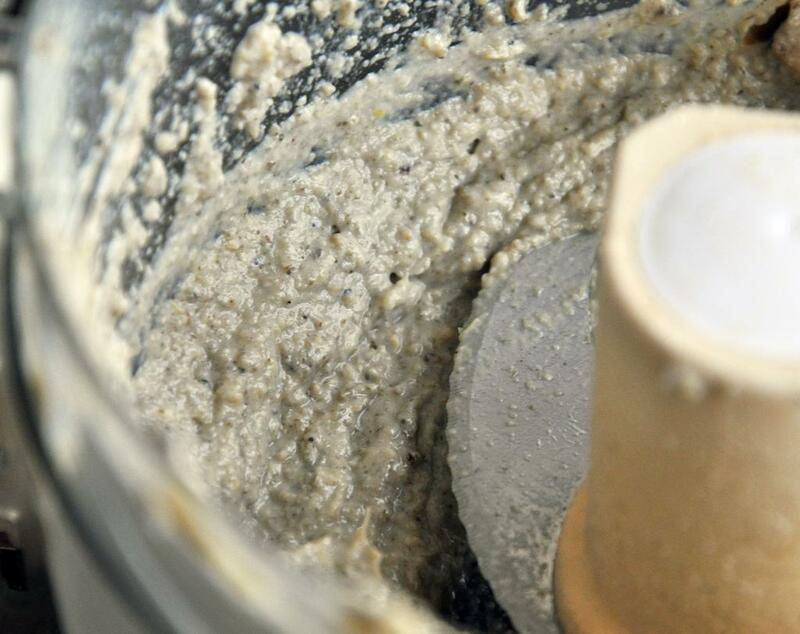 Add to food processor bowl. 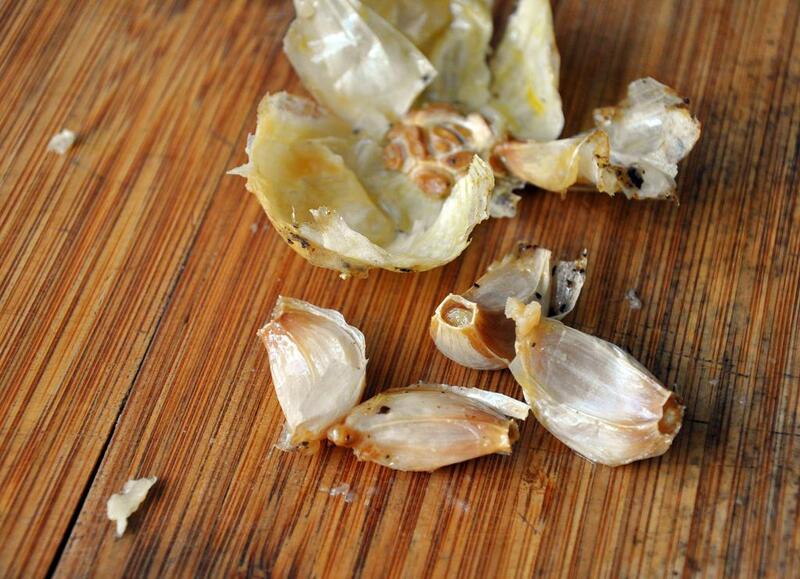 Squeeze roasted garlic out and into food processor. Add cheese, lemon juice and lemon zest. Puree until smooth. 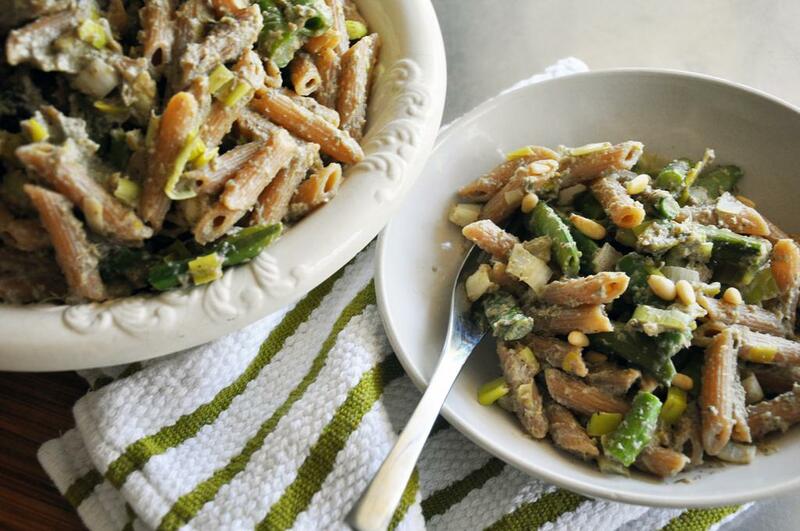 To assemble, in a large bowl add pesto, sautéed vegetables and penne. Toss until mixed well, divide among plates and serve warm.